Voted Best in the Nation! 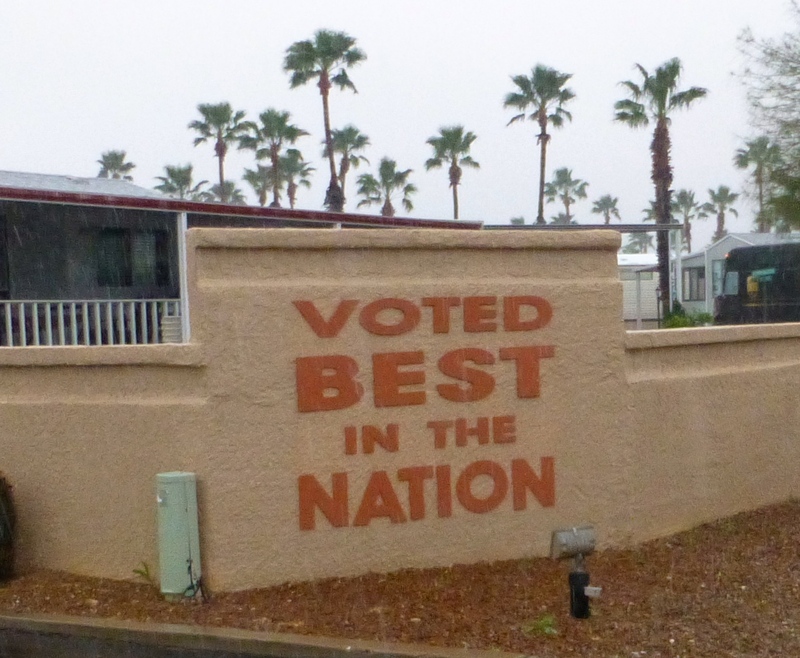 We recently stayed at Voyager RV Park, voted several times as the best in the nation for mega parks – think huge! There are multiple levels of camping and living accommodations, a hotel, a country club/golf course, a full restaurant and bar and a Wednesday night concert series. There are studios for wood working, stained glass, and ceramics and services for dog grooming, massage and hairstyling. There are classes for everything in the world including the two that most interested me, ukulele and line dancing. And, this is a very incomplete list. 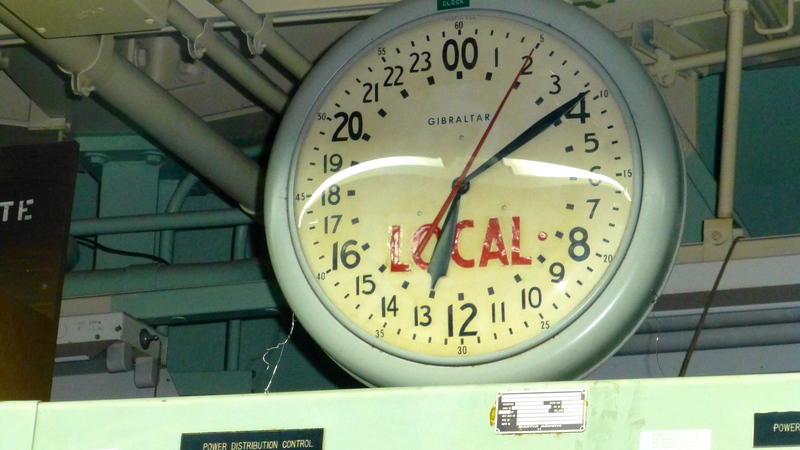 The place was amazing – and we did exactly none of it!! Although we would like to return to Voyager and experience some of what they had to offer, we chose to spend our time with family. 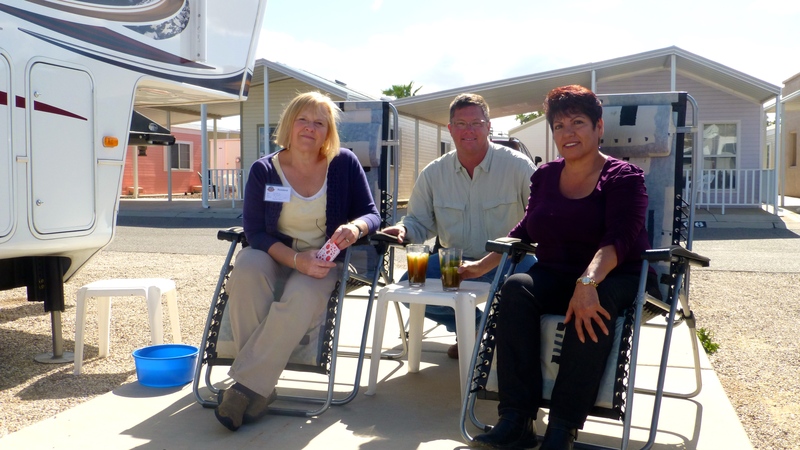 We were able to spend an entire day with Rosa, Randy’s dad’s wife in his later years. We have been happy to stay in contact with Rosa since Carl’s death in 2010, and were looking forward to getting together with her. We were so glad our brief stay, corresponded with one of her days off! We were also able to spend a nice evening with Randy’s brother Mike and our sister-in-law, Sylvia. 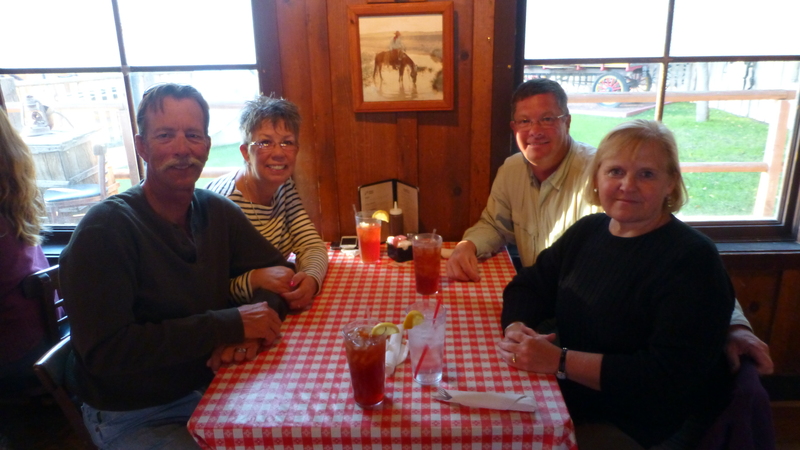 We went to Pinnacle Peak Steak House, an event restaurant that Randy’s family has frequented since the mid 1970’s. 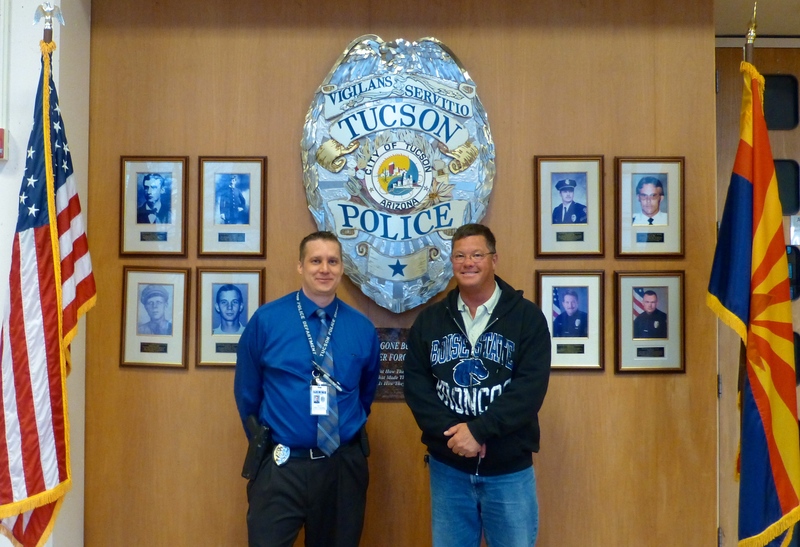 We are so glad it worked out that we were able to spend time with our Tucson family! 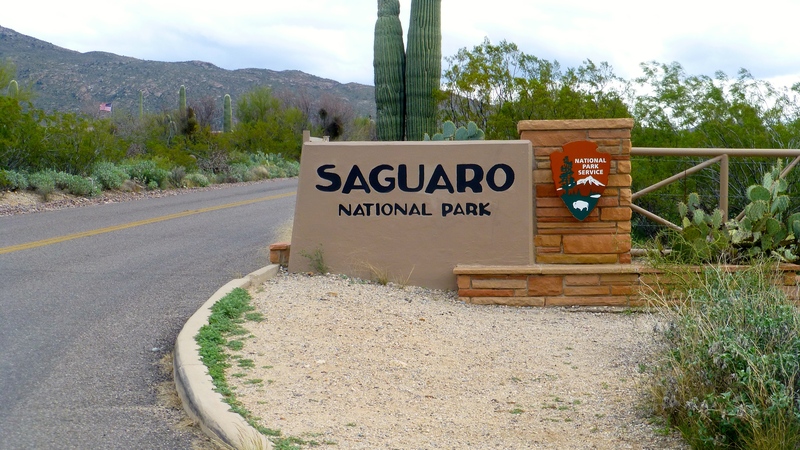 We also saw a couple area attractions, including Saguaro National Park. 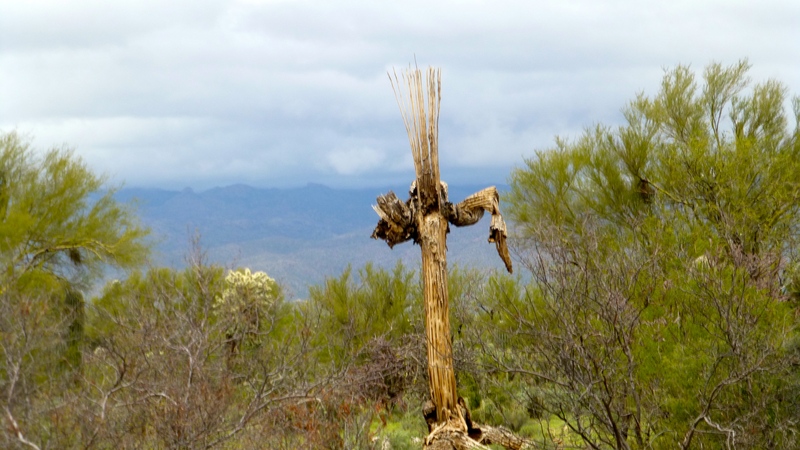 We have seen a LOT of saguaro cactus over the last month, but this one was the biggest mess we’ve seen! 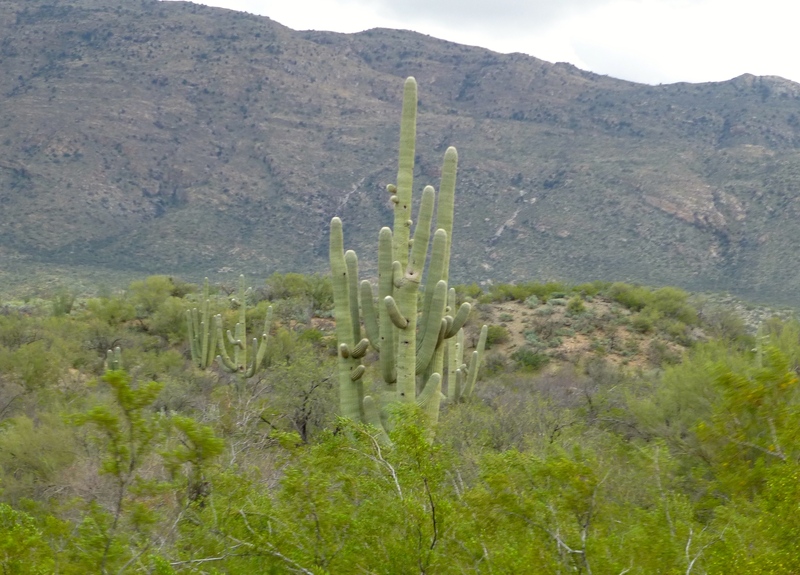 We also saw some saguaro skeletons. 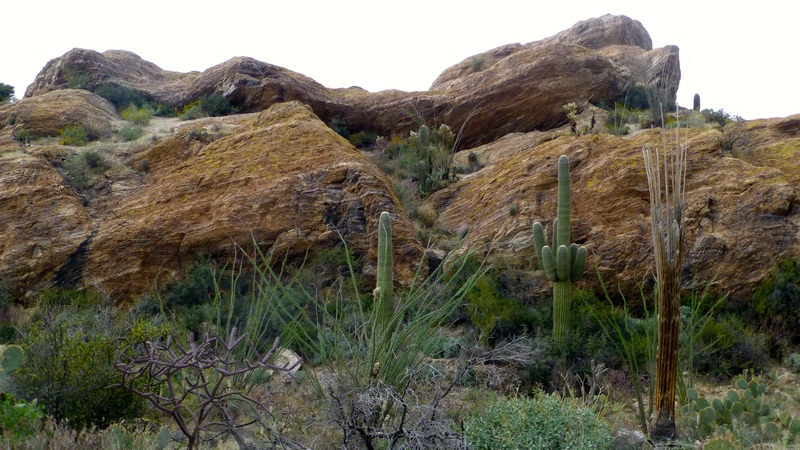 And of course, just some pretty desert landscapes. 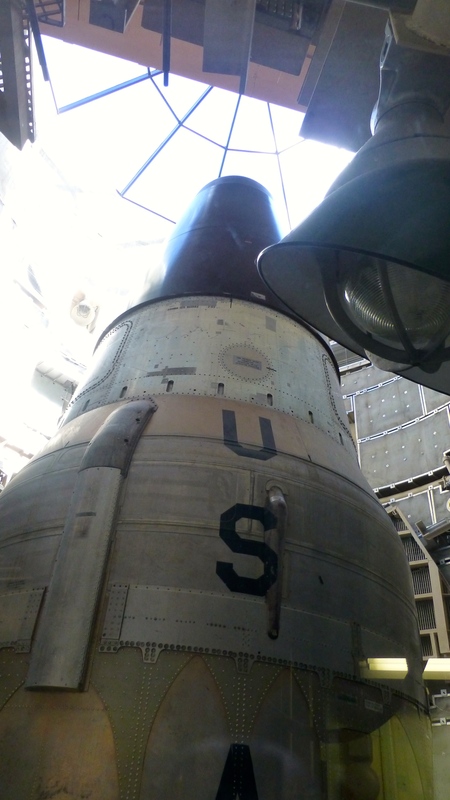 We also visited the Titan II Missile Museum. 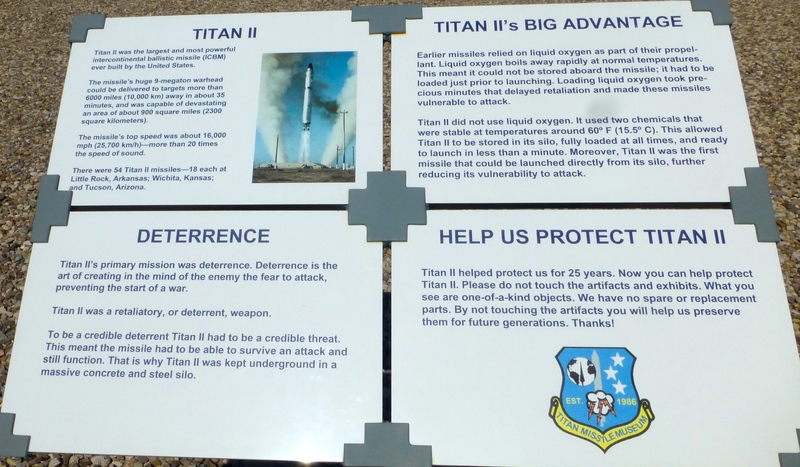 There were 54 Titan II Missiles designed as retaliatory, or deterrent weapons during the Cold War. There were 18 each near Little Rock Arkansas, Wichita Kansas and Tucson Arizona. 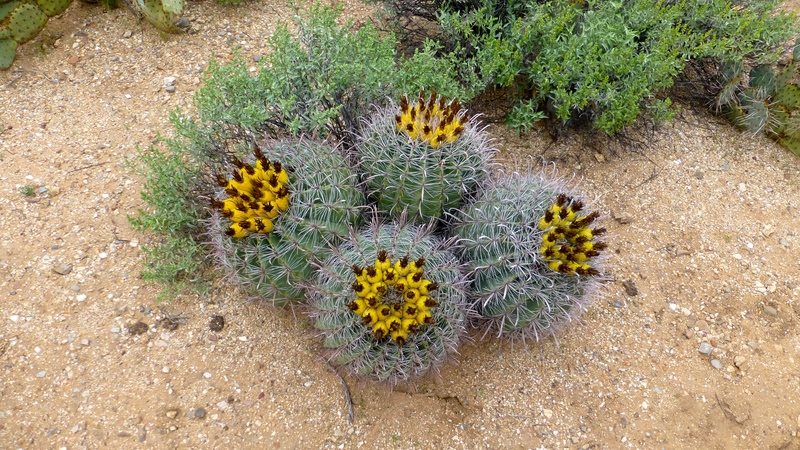 All sites were eventually dismantled except this one near Tucson. 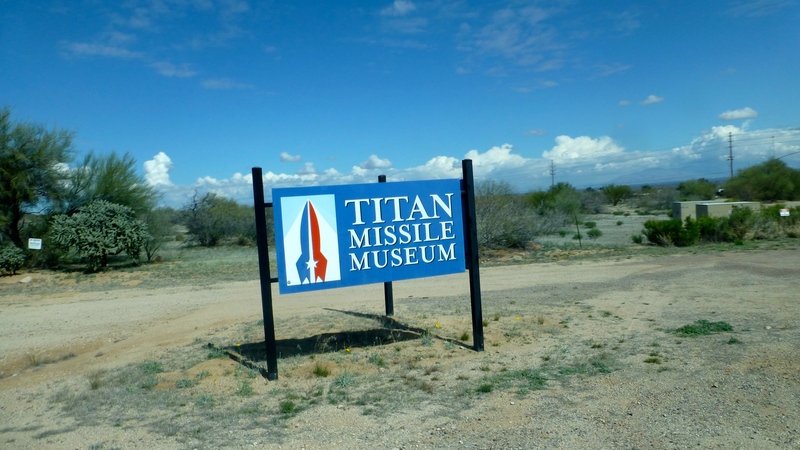 This one was left as a museum and is operated by volunteers, some of whom were stationed here as missile crew while they were in the Air Force. Of course, this warhead has been removed, but while active this 9 megaton missile could have been deployed in 58 seconds, travel 6000 miles at 16,000 mph, in 30-35 minutes, and destroy 900 square miles. There was no recall or self destruct mechanism. 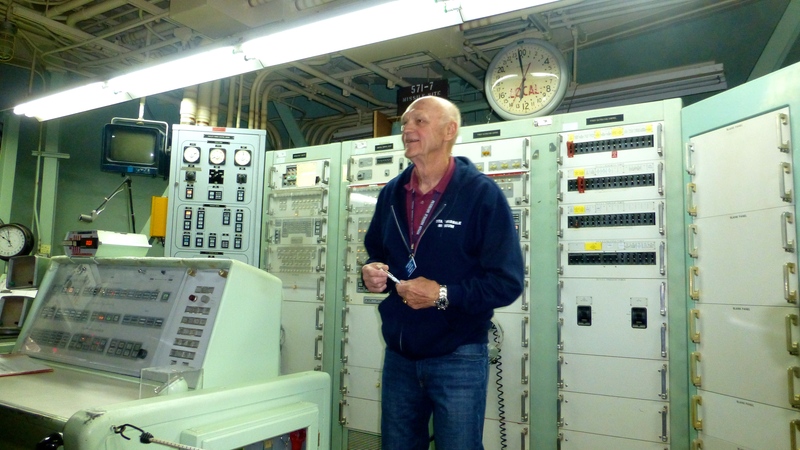 The one hour tour was quite interesting, especially the control room where the launch sequence would be executed. 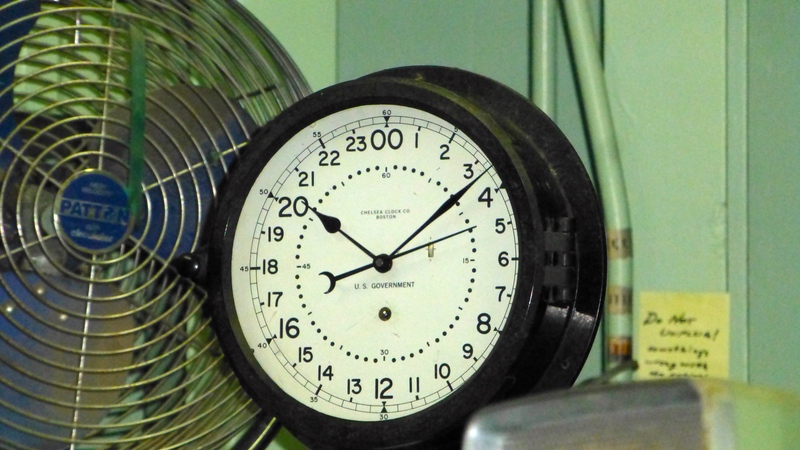 Some things we learned were that military operations always operate on Greenwich Mean Time so there is no confusion with time zones. 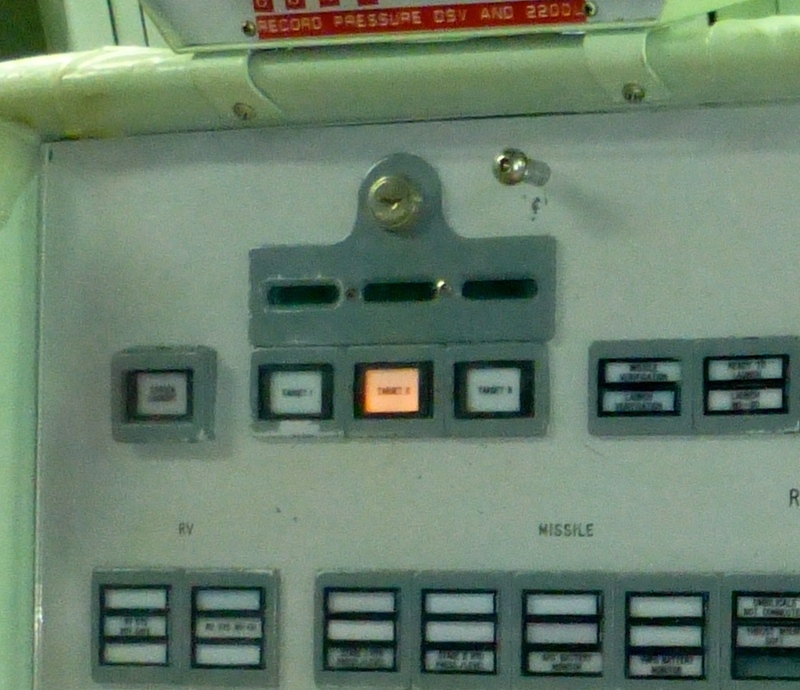 Also, those who would launch the missiles would be told Target 1, 2 or 3. 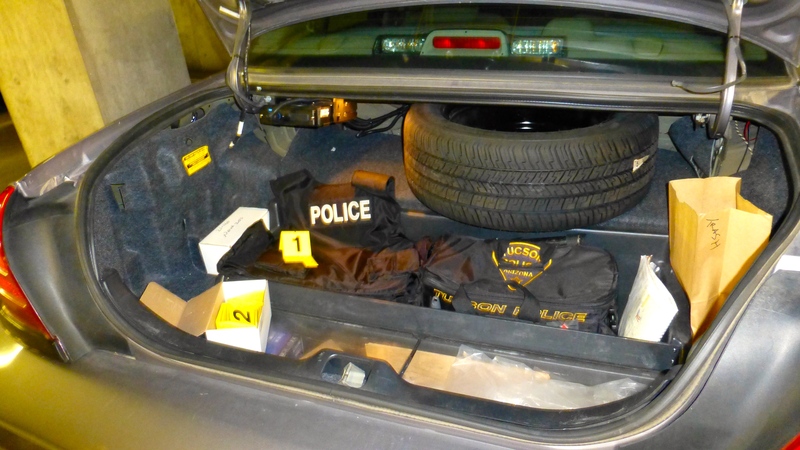 They did not, and by report still don’t, know the specific targets. 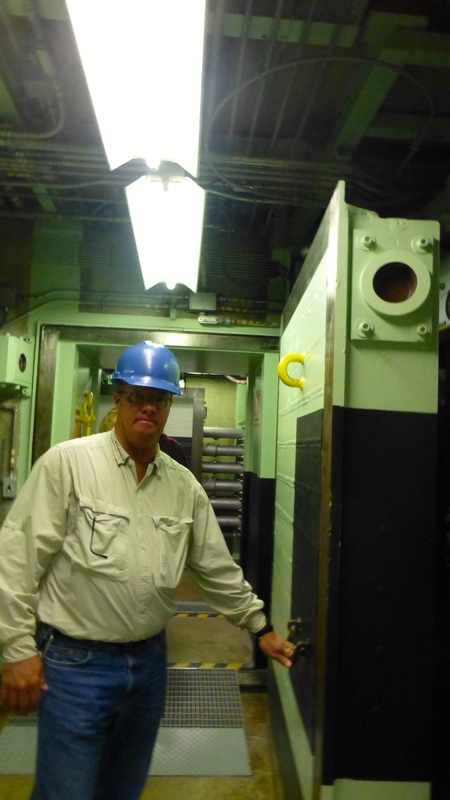 For you engineer types, there is a 5 hour tour where you actually get to visit each level of the missile silo. You may also enjoy these more detailed placards – everyone else is excused until the next post!